David Worsfold is best known for his work as an award-winning financial journalist, specifically as a writer on the insurance industry and financial services. David has edited a wide range of leading business titles and has contributed to most major national newspapers in the UK. He has appeared on radio and television as a commentator on insurance and financial issues and is an experienced conference speaker and facilitator. 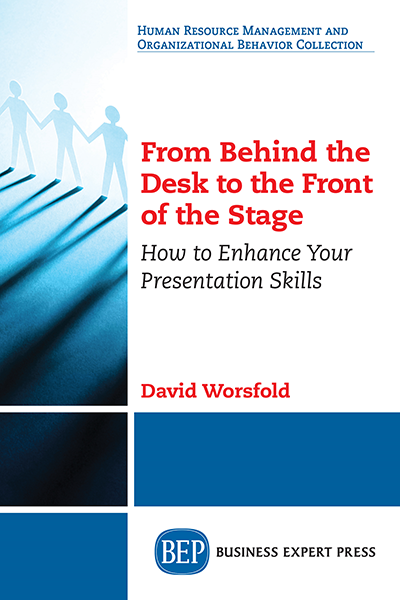 Worsfold created an innovative range of training courses and coaching modules for people who need to move from behind their desk to the front of the stage as part of their job. These have been run successfully for over 20 years, helping hundreds of people to be more confident and effective presenters. He is also an expert on social media and wrote Twitter for Financial Services, published by Business Expert Press in December 2017.